If you’re a parent, you understand that you never know what your kids may get into while playing sports. As a parent, it’s best to be as prepared as possible with an emergency kit. 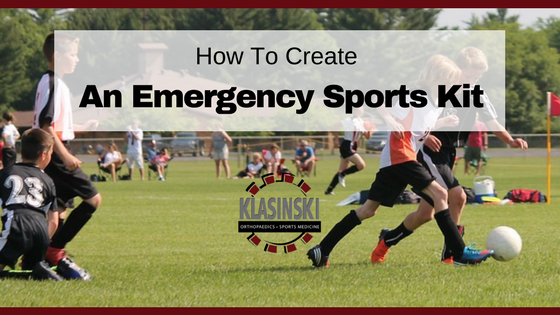 Here are some great ideas for creating a sports emergency kit for your kids’ activities. Typically, every sports emergency kit should include bandages, antibiotic cream, ice packs, gause, and pain reliever. Individual sports sometimes require specialized gear. If you coach your soccer team, it’s also a good idea to keep a spare soccer ball, pump, goalie gloves, and other typical supplies on hand. An emergency kit for volleyball is very similar to soccer, though it will include a few different items since soccer is usually an outdoor sport and volleyball is indoor. Many of these items are available to buy online. Whether you’re a parent that has kids in one or all three of these sports, follow these lists to pack all the items you may need. You can always work with your kids’ coach for more ideas on a complete emergency kit for a specific sport. Klasinski Clinic is also here to help you with ideas for a sports mom emergency kit. Contact us today for more information.